Ready to Take Center Stage Under the Sea? Little Mermaid Jr. Auditions are happening August 25th for students in 1st - 6th Grades!!! About St. Pete MAD: Formerly PLAY Performing Arts, we are a family-owned 5-star rated full performing arts academy dedicated to helping your child reach their full potential on stage and in life! All experience levels welcome. All students registered will be cast in the production and will be trained by a professional Broadway style team including a Choreographer, Music Director, Acting Coach, and Director. Register today to be a part of the fun of bringing this Disney classic to life! Use the Register & Pay Now button OR call 727-393-7625 OR email info@stpetemad.com. Audition: For the audition on Aug. 25th, students can choose two characters to audition for and should be prepared to read ALL of the lines from a character's audition script AND the ENTIRE audition song for the character. Students will be emailed an assigned audition time between 12:30 – 5:30pm on Saturday, Aug. 25th and provided a link to files containing the audition script as well as the audition song for each character. Rehearsals: Cast rehearsals start in September at our St. Pete academy location. 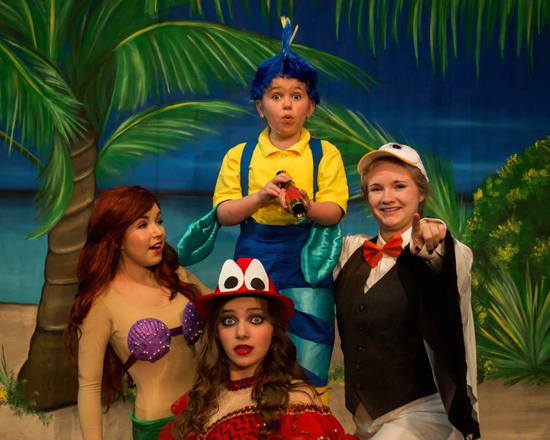 Show dates are Dec 8-9 at the beautiful Catherine A Hickman Theater in Gulfport. Tuition: Tuition includes rehearsals, costume fee, and performance fee. Non-refundable Tuition is $360.00 with 50% of tuition due at registration. Remaining balance due in 2 installments of $90.00 on Oct 1st and Nov 1st. A 10% sibling discount is available. Registration: Complete online by August 24th with initial 50% payment. All students registered will be cast. Use the Register & Pay Now button to make the initial 50% tuition payment. A registration packet will be emailed to you.